Are you using a Linux distribution on your laptop? And you want to get more laptop battery life. Well, I have some solutions for you. In this tutorial, we will discuss how to extend battery life with the TLP laptop power manager on Ubuntu 16.04, Linux Mint 18 and Elementary OS Loki. TLP is an advanced Linux power management tool for laptops and netbooks. It’s the successor to Jupiter which is now defunct. There’re loads of tips, tricks and hacks that could squeeze an extra hour from a Linux laptop or netbook. TLP makes optimizing power usage easy for Linux beginners or for those who don’t want to tinker. You don’t have to understand every technical details to extend battery life. TLP is a pure command line utility that doesn’t come with a GUI. It’s available in the default Ubuntu software repository starting with Wily 15.10. So you can use the following command to install TLP. Package tp-smapi-dkms and acpi-call-dkms are for Lenovo ThinkPad laptops only. 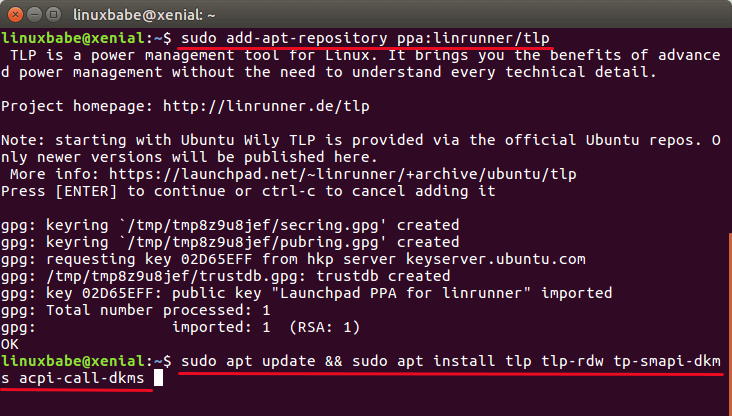 If you want to get the latest version and updates, here’s the commands you can issue to the terminal to install it via official TLP PPA. There are a lot of information you can get from its output. If your AC power is plugged, TLP will start in AC mode. If later on you unplug your AC power, TLP will automatically switch to battery mode. 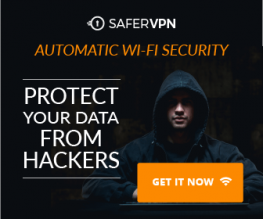 You can manually enable or disable WiFi, bluetooth and wwan radios. Tada! My battery now lasts more than 2 hours. TLP will automatically apply power saving settings every time you boot up your computer. So from here on out, you can just forget it. For more usage information, check out the man pages. For power usage analysis, you can install powertop and start it with sudo privilege. Other things you can do to get the most power out from your laptop or netbook is making sure your fans are clean, which can be done with a can of compressed air. It’s a known fact that when your fans are collecting dust, it has to work a little bit harder. And using a lower light setting for your screen can also prolong batter life. One last thing to mention is that TLP laptop battery manager is incompatible with laptop-mode-tools so you have to uninstall one of these two. And that’s it! If you found this post useful, then subscribe to our free newsletter or follow us on Google+, Twitter or like our Facebook page. Thanks for visiting! Great advice. I’m installing it right now, tryin to make it after the disappointing 1.30 min on full battery that elementary loki is giving me. I have fined tuned TLP as best as i can; I have read the detailed configuration page of TLP. I am running Ubuntu Gnome desktop 17.04 on ThinkPad 540 and at best I can get 3 -3:30 hours of battery life. Is it as best as it gets? Great article, tells me everything I need to know! One question, though, does TLP need to run to work; do I need to start TLP every time my system starts or not? TLP will start automatically when your computer boots up.